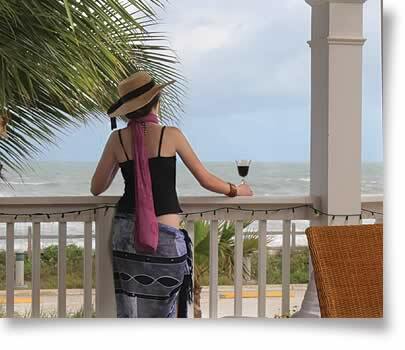 Oceanfront Cottages in Florida is an outstanding little gem offering five beautiful suites and a direct oceanfront 2-Bedroom townhome in Indialantic, Florida. 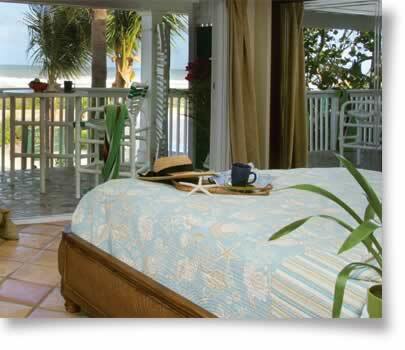 This is the type of property you long to discover: spacious suites with cozy sitting areas and luxurious king beds. Most suites have full kitchens (except the Havana Suite). Lounge by the pool, catch a wave or two, cook a BBQ, hunt for seashells, take a leisurely bike ride along the beach, stroll the shops, or just pick up a good book and park yourself in the sun. Watch the turtles (daybreak & before) as they scamper back to the Atlantic. Choose from five immaculately kept suites that include every amenity a beach-lover might desire. Endless ocean views and relaxing Jacuzzi tubs available, a full kitchens in every suite (except the Havana Suite), complimentary towels, beach chairs, umbrellas, BBQ grill and laundry are available to make your stay a peaceful, easy escape. Click here for details! We do not accept children or infants at the Cottage Suites (please see Sea Cottage Townhouse above for family accommodations). Welcome to Indialantic, Florida, an ocean-side town between the intra-coastal waterway and the Atlantic Ocean. Our seaside peninsula presents endless adventure, from surfing, fishing, boating and nature watching. Stroll along the beach to find tracks made by sea turtles. Rent a boat or jet ski and explore the tiny nearby islands. Dive into the warm Atlantic Ocean for a swim or indulge in coastal escapade–bikes, surfboards, body boards, rollerblades or jet skis. Take a leisurely amble along the boardwalk to discover restaurants, diners, surf shops and coffee stops all within walking distance of Oceanfront Cottages. Visit the historic downtown Melbourne, just ten minutes by car. Click here for details!